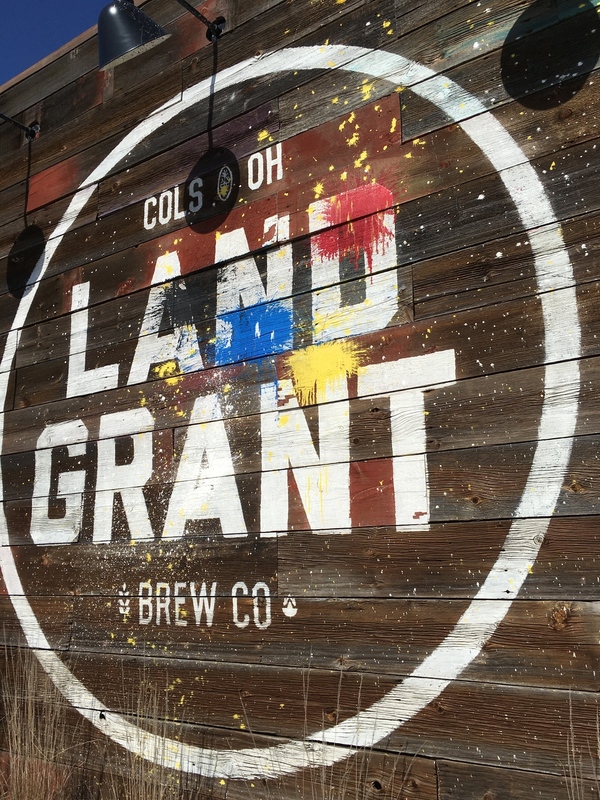 C!SN 2.21.16: Columbus Winter Farmers Market, Boline Apothecary, Rock the Garage, Hoof Hearted Brewing, Land-Grant Brewing Company features Kolache Republic Tasting at the Taproom. This was a fantastic weekend. The weather was fantastic so Nigel and I could take a summer walk on Saturday and Sunday! He is getting a little wide, so the extra steps will do him well! Springtime birds were singing (I did see robins last week) and life felt wonderful. Saturday morning we stopped by the Columbus Winter Farmers Market. Organized by the same farm who organizes Raven’s Farmers Market, Carousel Watergardens Farm, it was nice to see familiar faces, and meet vendors new to us! There are two more weeks in March for the market, so be sure to stop by the Whetstone Community Center to check it out! Right up the street is Boline Apothecary, another one of those favorite places of mine. They have a wonderful essential oil roll on for headaches, which my co-worker found very helpful! That gave me another reason to stop by! Later Saturday afternoon we went to Rock the Garage. This was a collaborative event with Mikey’s Late Night Slice and DareDevil Dogs. Two of our favorite places! Rock the Garage raised funds for A Kid Again, whose mission is to foster hope, happiness and healing for families raising kids with life-threatening illnesses. Great event, great food, great music, raising funds and awareness for A Kid Again! Land-Grant Brewing Company hosted Kolache Tasting at the Taproom on Sunday. This event paired kolaches from Kolache Republic Café & Bakery with Land-Grant beer! This event has been on my calendar since I found out about it! Two of my favorite things: Land-Grant beer and Kolache Republic kolaches. I was truly so happy. We started with a flight of both, which were paired perfectly with one another. It was great to talk with Walt, from Land-Grant, and then Rick and Dusty from Kolache Republic! We wish them all the best and look forward to the next event!